Ideal for caretakers, handymen or members of other trades that may want to carry out small electrical tasks. Learn how to replace sockets, lamps, how to wire plugs and much more. The Safe Isolation/Handyman Course is a competence course for caretakers, handymen or members of other trades that may want to carry out small electrical tasks such as safely replacing socket and fused spur fronts, electrical accessories, replacing lamps, replacing bulbs and other small electrical applications as part of their role. Ensuring that electrical equipment is isolated is a major part of the course and being able to safely isolate, prove dead and re-energise is a fundamental part of the course. There are also practical assessments to provide valuable experience. The course is broken down into two sections, a morning section where you will learn theory and demonstrations with practical exam in the afternoon. There are practical assessments along with a written 30 question multiple choice test paper. Upon successful completion, learners will receive a certificate of attedance detailing topics that have been covered in the course. There are no entry requirements for the course. PAT Testing Competency – A non-electrician course to become a qualified PAT tester in 1 day. Basic Electrical Installation – A short course for beginners to electrical systems, installations and inspection. Electrical safety course for caretakers and handymen working in the Teesside area. 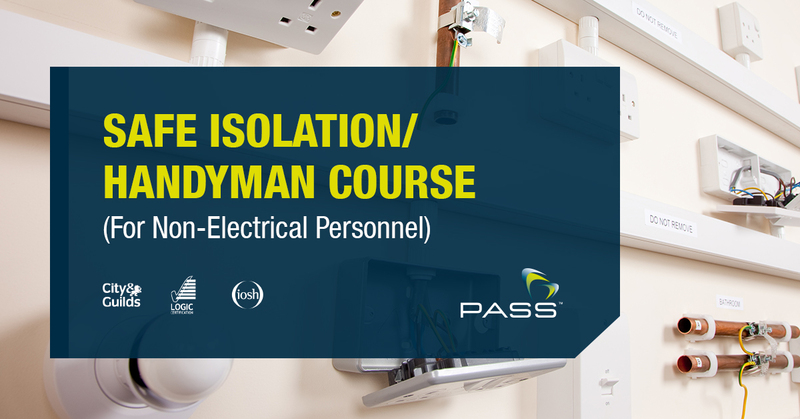 Learn safe isolation and small electrical tasks. Useful for London based caretakers and handymen to learn safe isolation and small electrical tasks.